Dovercourt Bay is a picturesque sweeping bay that includes a European Blue Flag beach. It enjoys gently sloping bathing, a south facing aspect looking out into the North Sea and a long and flat promenade enjoyed by walkers. 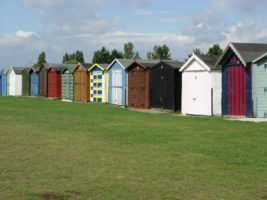 Half way along its length are two lighthouses dating from 1865 and the seafront is lined with beach huts, which can be hired on a temporary basis by calling the Beach Hut Association on 01255 556944 or Tendring District Council on 01255 686662. A recent addition to the seafront facilities is a ‘Changing Places’ facility that enables easy changing for people with disabilities. 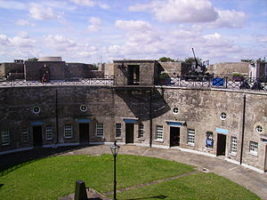 The Harwich Redoubt (1808) was built as part of the defences to keep Napoleon out of England and was among the chain of Martello Towers along the coast from Sussex to Suffolk. The Redoubt now has limited disabled parking and can provide a stair lift to the first floor including the use of a wheelchair and disabled toilet if required. Today, The Redoubt is managed by The Harwich Society and is open from 1st May to 31st August between 10am and 4pm, and every Sunday throughout the year. 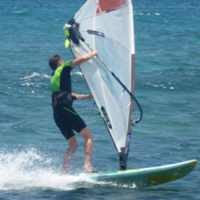 There is a small entry fee and children are free of charge. Society members are free. 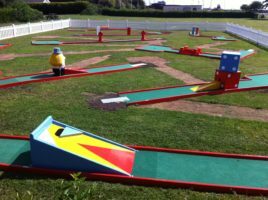 Adjacent to the beach is a range of leisure facilities include Putting Green and Crazy Golf during the summer season which is run by Harwich Town Council. An outdoor skating rink, a boating lake and a small amusement arcade along with a centrally located seafront café and public toilets are run by third party organisations. 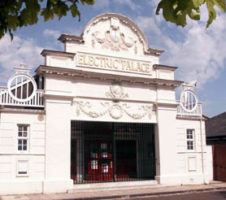 At present the Electric Palace is closed due to a major refurbishment. Details on their website. Take a Tour – Take part in a free guided walk which departs from the Ha’Penny Pier at 2pm every Saturday between May and September. Alternatively, stroll the charming streets of the old town and hear stories of the town’s seafaring past and its present role in keeping mariners safe. You can choose between a written or audio guide, download and enjoy! 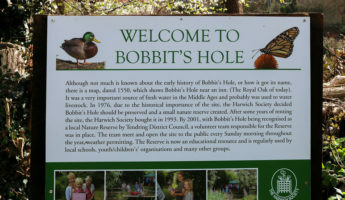 This nature reserve is an area that is protected for the benefit of local wildlife, and is a haven for a huge variety of bird species including seabirds and kingfishers. Access can be gained via Asda Car Park, and is open every Sunday (except during Christmas) from 10 am to 12 noon. Free entry, accompanied children only. Home to the new Rail & Shipping Museum and The Haselton Collection, a rare display of local beach finds, collected over 60 years. It is also hoped a shore based replica ship of The Mayflower will be constructed as a future visitor attraction. The Centre is open every Saturday from 10am until 4pm, April to October. Other times are as advertised or by phoning first. 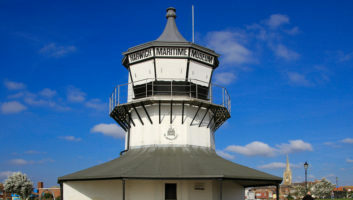 Also run by The Harwich Society, the High Lighthouse is currently undergoing necessary renovation and will be open to the public from May, when it will be open between 11am and 3pm every Saturday until September, and will showcase exhibitions of local interest. Parking is available on the road near the public conveniences. 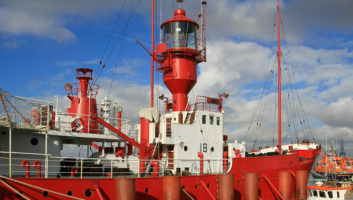 The LV18 lightship was built in 1957 and worked in many locations around Britain. Moored in the river Stour off Harwich Quay the LV18 became the ‘home’ of Pirate BBC Essex Radio and in 2008 it featured in the film ‘The Boat that Rocked’ as the rival station ‘Radio Sunshine’ where it was partially painted yellow. Harwich Quay is a popular spot from where passing ferries and cruise liners can be seen up close. Pilot launches, fishing trawlers, tugs and yachts bustle by in an ever-changing scene. 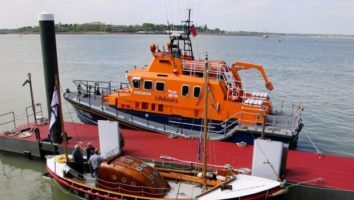 The Train Ferry Terminal and the buoys and vessels of Trinity House stand at the western end and the Lifeboat Station and Navyard Wharf to the east. In between lies the Ha’Penny Pier, the Seasonal Visitor Centre and Mayflower Exhibition. There is also the Café and a wet fish sales outlet. The Harwich Harbour Foot and Cycle ferry provides easy connections with bus services giving you a chance to explore Felixstowe and the Shotley peninsula. Take a look at the Guildhall where the Council offices reside. As this is the only Grade 1 listed building in Harwich it is well worth visiting where the staff are always happy to help ! Please make a note of our opening times to avoid disappointment.